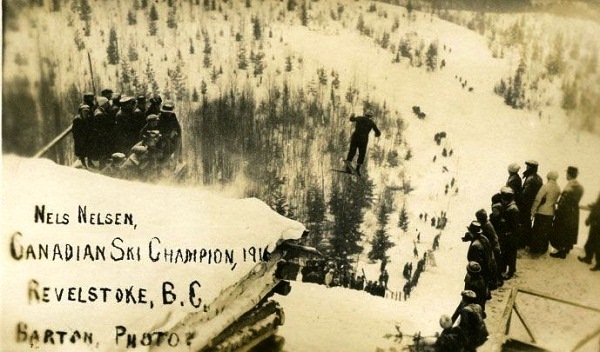 The beginnings of skiing at Revelstoke in British Columbia originate to Norwegian immigrants back in 1890. First ski jumping hills already existed in the beginning of the 20th century. Revelstoke ski club was then founded in 1914 and already in winter 1915 the first "Winter Carnival" was organized. Winner of the first competition on the "Big Hill" in junior class was local hero Nels Nelsen. 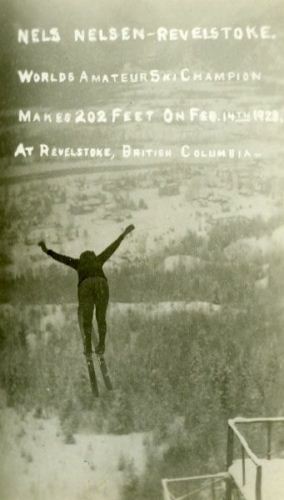 For the 1916 competition the natural ski jump located in "Mount Revelstoke National Park" was slightly modified and as a consequence Nels Nelson set up a new world record with 183 feet (55.7 meters). 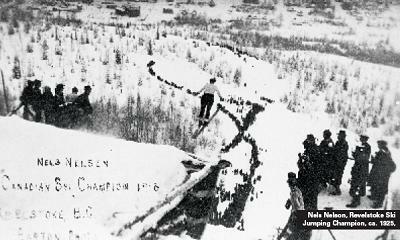 In the following years Nelsen, who was born as Nils Johan Nilsen in Salangen, Norway, won numerous Canadian Championships and set up other national records. 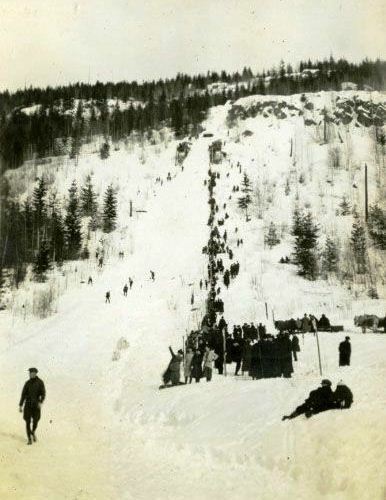 During the 1921 competition the existing hill record was improved even four time and in the end there was a new world record of 229 feet by US American Henry Hall. 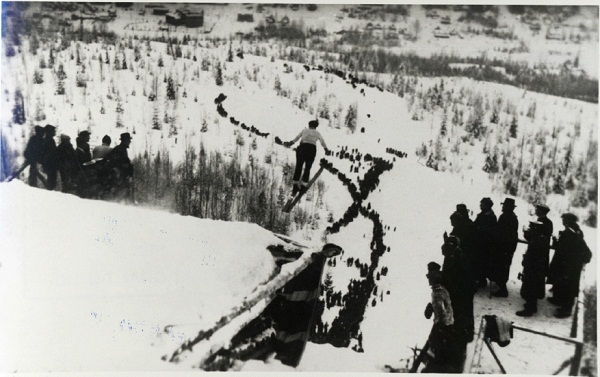 One year later Isabel Coursier set up a new ladie's world record on the smaller hill with 84 feet (25.6 m). 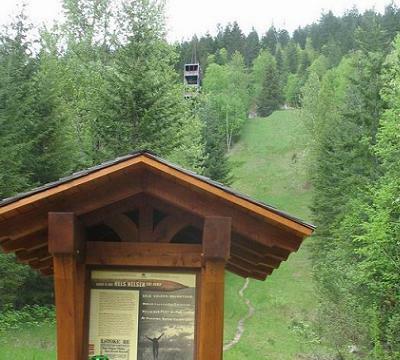 In 1925 once again the hour of Nels Nelsen stroke, when he set up a world record of 240 feet on the "Big Hill", which had been unbeaten for five years. In 1928 Furrier J.H. 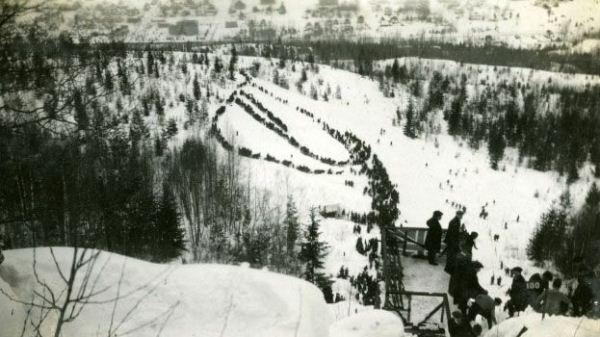 Munro advertised a reward of a car for a new world record and thereby attracted many world class athletes to the winter carnival at Revelstroke. 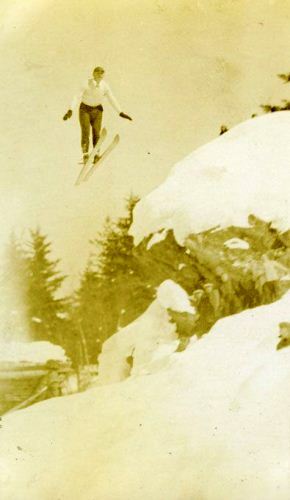 In the end Nels Nelsen won the fabulous competition on the especially converted jump, but without setting a new world record. 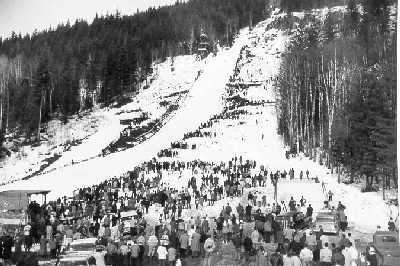 In 1931 a lot of spectators and many athletes, especially from the eastcoast, came to Revelstoke, but jumpers and jury considered the large hill as too dangerous and moved to the 50 meter normal hill. Only the young local hero Robert "Bob" Lymburne dared to jump off the Big Hill and fascinated the audience. 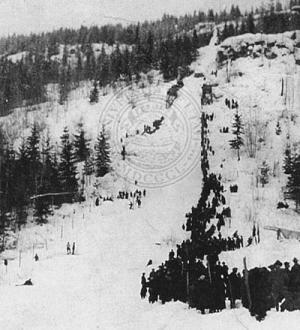 Afterwards the hill was only called "Suicide Hill". 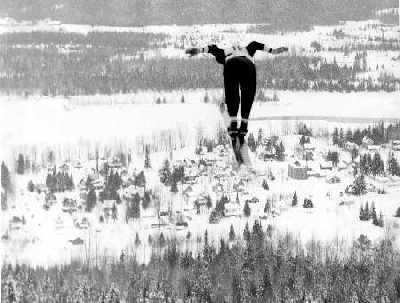 One year later Lymburne only reached the 18th spot of the Olympic competition in Lake Placid, but after that he improved the world record on his home jump on 82.0 meters (269 ft.). He again managed to jump WR here in 1933 with 87.5 m (287 ft.). 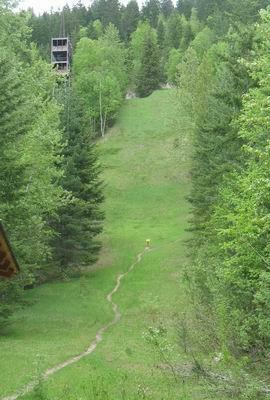 Afterwards the five ski jumps at Mt. 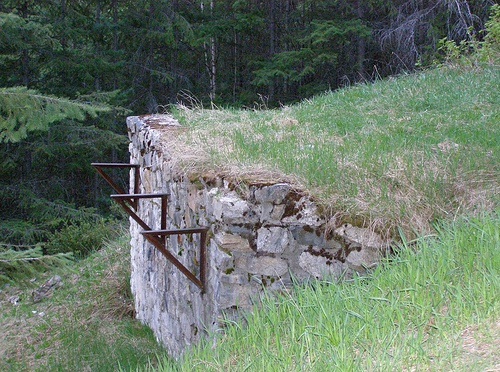 Revelstoke were abandonned. 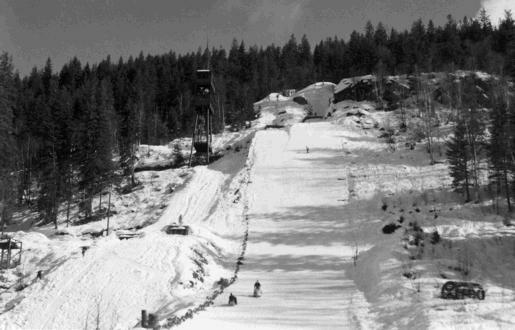 North of the city center the "Big Bend Ski Jump" was inaugurated on 1939-01-15 instead and allowed jumps on more than 60 meters. 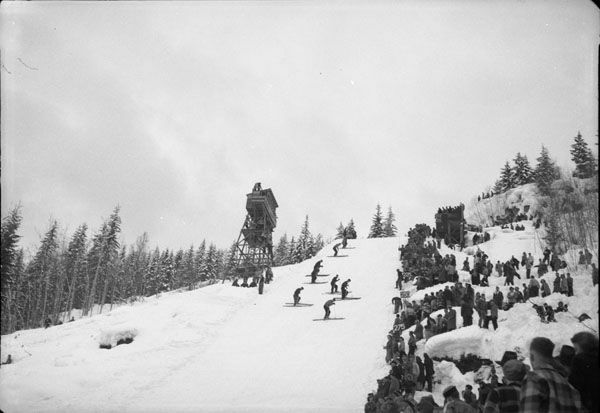 After no competitions were possible throughout war times, the jump was used again after 1946 and dedicated to Hans Gunnarsen. 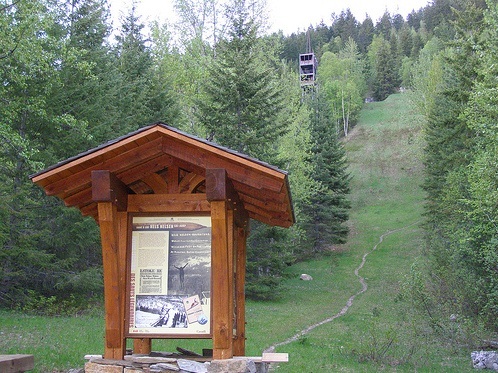 The ski jumps at Mt. 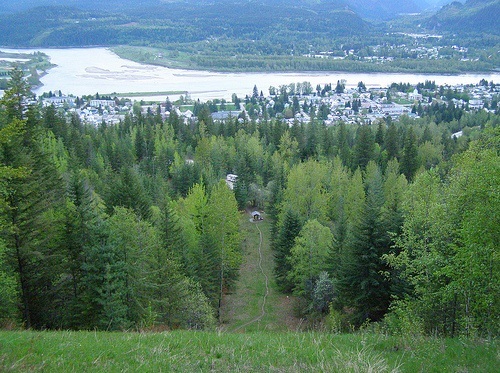 Revelstoke were revived in 1948 and "Big Hill" was dedicated to Nels Nelsen. 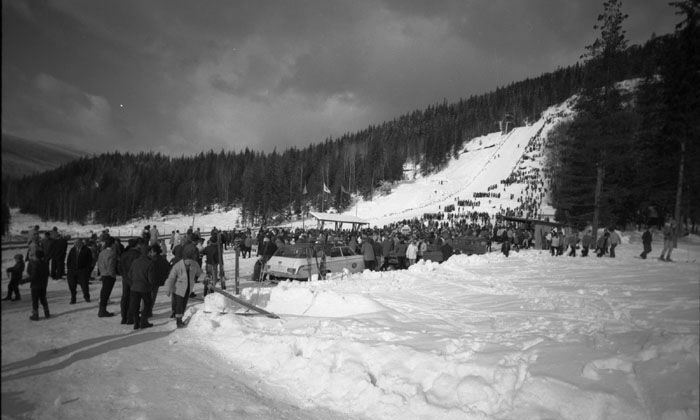 During the opening competition on the new K80 Petter Hugsted, Norwegian Olympic Gold Medal winner of 1948 St. Moritz Games, set up a first new record of 247 feet (75.3 m). 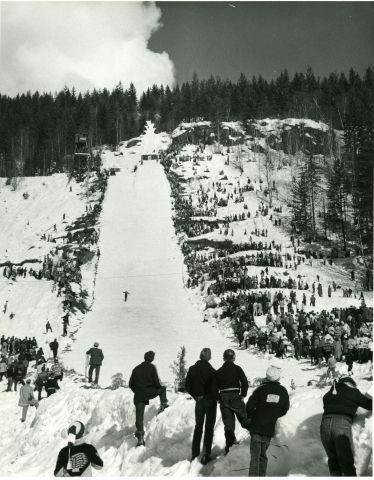 The very first "Tournament of Champions" was organized in 1950, winner of a world class number of competitors was later Olympic Champion Arnfinn Bergmann. 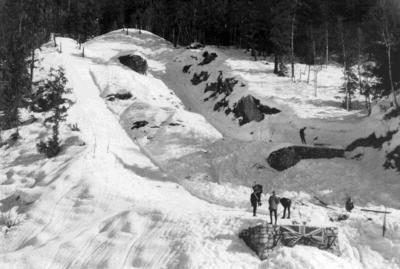 More hill record were set up by Odd Brevik with 270 ft. (82.3 m) in 1958 and Kalevi Kärkinen with 278 ft. (84.7 m) in 1959. 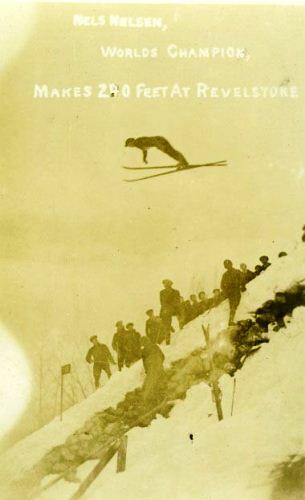 In this period numerous competitions were held on the 80 and 60 meter ski jumping hills. 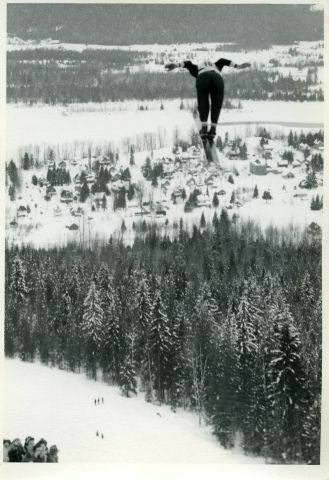 In 1967 Kjell Sjöberg jumped on 310 feet (94.5 m), which meant the first and only hill record over the pre-war distances. 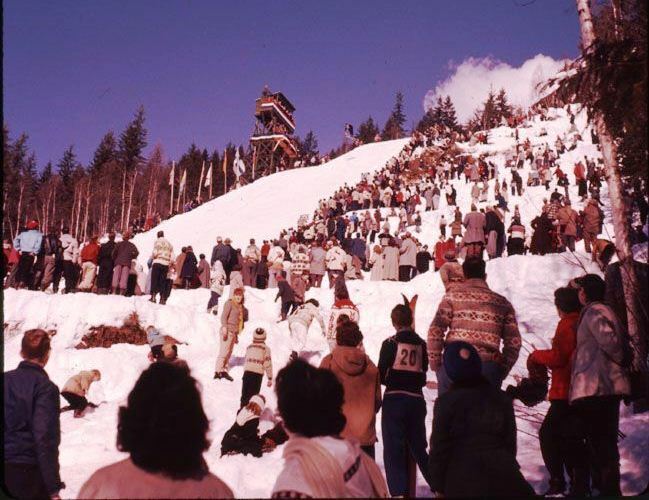 Due to strongly declining interest in ski jumping and rising costs the last competition was held on Valentine's Day 1974, later the hill was abandonned. Tym razem masz 100% rację. Już poprawiam błąd. Nie 4, lecz 5 rekordów świata.